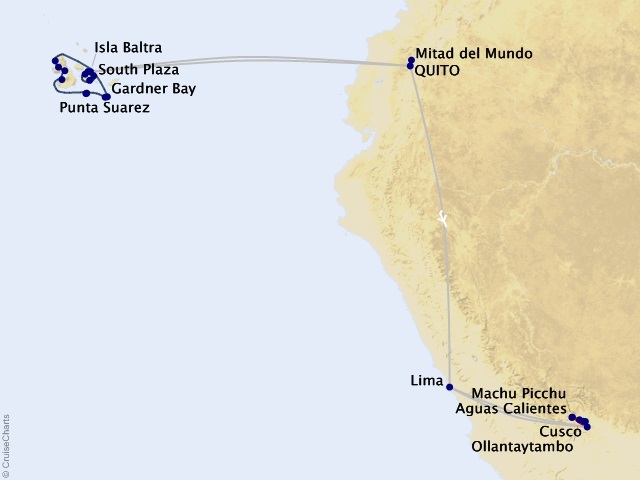 Departing from Quito on January 3, 2020. Designed to leave you breathless, the brand new expedition ship Celebrity Flora marks an evolutionary turning point in the approach to ship design—creating a sense of being truly immersed in the destination, instead of just visiting it. Aboard the incredible Flora, you'll experience the Galápagos on a vacation like no other. Dine on delectable menus, curated by a Michelin-starred chef, and allow your Personal Suite Attendant to help you unpack. All this to ensure that your visit to these primitive islands is nothing less than perfect. With only 100 other pampered passengers, the Flora boasts the largest and most luxurious accommodations in the Galápagos Islands where every stateroom on board is a suite and seamlessly intuitive service guarantees every creature comfort possible.